Do you have a wet, unresponsive phone on your hands? We can fix it for you with the best price in Melbourne. 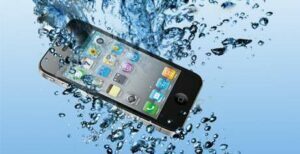 1- After your iPhone has been subjected to moisture/ water damage, do not try to turn your device on. 2- You should dab off as much of the liquid as possible from the outside of the phone. 3- If you could take the battery out. 4- Meet us at the store so we can fix it for you.